Shalini Ajith Kumar started her celluloid innings long ago as a child artist who stole the hearts of many film lovers in movies like Viduthalai alongside the legendary Sivaji Ganesan, Rajinikanth and Vishnuvardhan. Later on, as a heroine she debuted in Malayalam in Aniyathi Pravu with Kunchako Boban. Director Fazil introduced her as a heroine to Tamil audiences in Kaadhalukku Mariyaadhai with Vijay and the film went on to record blockbuster success for its family sentiment and neat storyline. Subsequently she featured in Kannukkul Nilavu, Alai Paayudhae, Piriyaadha Varam Vendum and Amarkalam. On the sets of Amarkalam she met Ajith, they fell in love, got united in matrimony and the rest, as they say, is history. 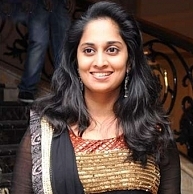 After her wedding, Shalini has withdrawn from the silver screens but is concentrating on her badminton career. Today, 20th November, Shalini celebrates her 35th birthday. Needless to say, there is festive air in Ajith’s household. Here is wishing the talented actress, a very happy birthday and many more to come! Are Simbu and Mysskin really planning a project together? Simbu and Nayanthara are together after 7 long years! The Rowdy Rathore duo to return for Arrambam? Kazhugu Kreshna to get engaged ! People looking for online information on Shalini, Shalini Ajith, Shalini birthday will find this news story useful.